JR Hokkaidō (JR北海道) closed the 16.1 km of Sekishō line (石勝線) between Shin-Yūbari and Yūbari. The line opened in 1892 as Yūbari line (夕張線) from Oiwake to Yūbari for transporting coal to the Port of Muroran via the Muroran main line. With the opening of Sekisho line in 1981, Yubari line has become a part of the Sekisho line and the closed section has been called Yūbari brandh line (夕張支線). The neigbouring population and number of passengers have decreased sharply after the coal mines were closed. The Yūbari branch line was included in the three immediate sections to be switched to bus services among the lines claimed by JR Hokkaidō difficult to maintain by itself. JR Freight (JR貨物) abondoned the 2.7 km Hokuriku freight branch line (北陸線貨物支線) between Tsuruga and Tsuruga-minato. The Tsuruga-minato station opened in 1882 as Kanagasaki station. The passenger service terminated in 1897 and the station was renamed Tsuruga-minato in 1919. The station was served, however, by the boat train from Tokyo stationto make connection with a passenger ship to the port of Vladibostok whenever it was operated before the World War 2. When JNR became divided and privatalized and in 1987, the branch line was succeeded to JR Freight, but the operation of freight trains terminated in 2009. Yokohama Seaside Line (横浜シーサイドライン) opened new Kanazawa-Hakkei station adajacent to the station of Keihin Kyūkō, and the line was extended by 0.2km. JR East (JR東日本) rebuilt the Miyako = Kamaishi section of the Yamada line haevily damaged by the 2011 Tōhoku earthquake and tsunami. Upon completion the rebuilt section was transferred to Sanriku Railway (三陸鉄道), which will operate the section as a part of the 163.0 km Riasu (Lias) line between Kuji and Sakari connecting the former Kita- and Minami-Riasu lines. On March 23, special trains run commemorating the restoration, and regular passenger service starts on March 24. JR West (JR西日本) opened the 11.1 km northern part of Ōsaka-higashi line (おおさか東線) between Shin-Ōsaka and Hanaten. The southern part between Hanaten and kyūhoji was opened on March 15, 2008. JR West is a Class 2 operator in the extended part as well as in the sourthern part. Ōsaka Soto-kanjo Tetsudō (大阪外環状鉄道) owns as a Class 3 Operator the double track passenger line built using the exsiting track of freight branches of Tokaido and Katamachi lines. Kansai Electric Power Company (KEPCO) (関西電力) closed the 6.1 km trolleybus line between Ōgisawa and Kurobe-dam, a part of the Tateyama Kurobe Alpine Route. The trolleybus service from April to November started operation on August 1, 1964, using the tunnel originally built as access for the construction of the hydroelectric plant of Kurobe Dam. The service will be replaced with battery buses in April 2019. Due to the decreasing number of passengers, JR West (JR西日本) closed the 108.1 km Sankō line (三江線) between Miyoshi and Gōtsu with the last trains operating on March 31, the largest line closure since the closing of 140.0 km Hokkaidō Chihoku Kōgen Tetsudō on April 21, 2006. The Sankō line was extended in several phases, southeast from Gōtsu as Sankō-Hoku line (三江北線) since the Gōtsu = Kawado section opened in 1930, and northwest from Miyoshi as Sankō-Nan line (三江南線) since the Miyoshi = Shikijiki section opened in 1955. In 1975 the line was completed as the Kuchiba = Hamahara section opened. Osaka Municipal Transportation Bureau (大阪市交通局) was privatized into Ōsaka Kōsoku Denki Kidō (大阪市高速電気軌道) or Osaka Rapid Electric Tramway, a limited stock corporation. 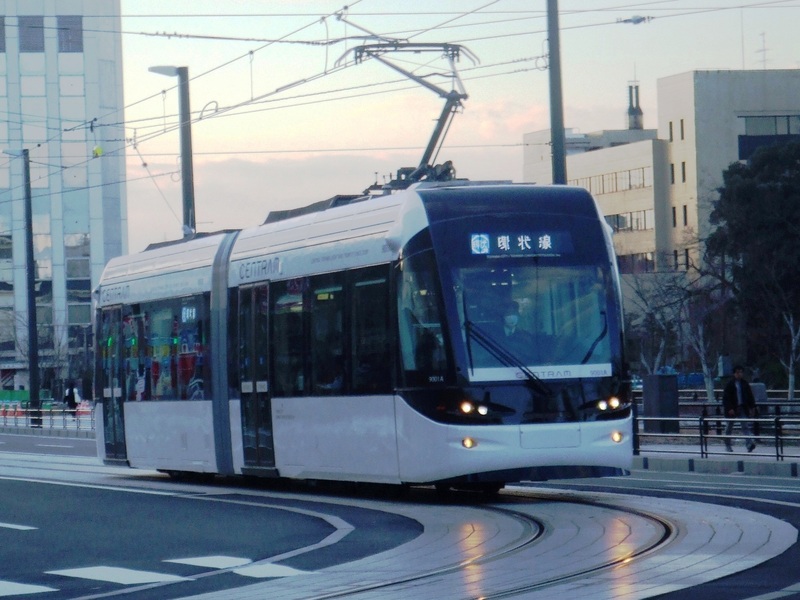 The new entity also called Osaka Metro will take over the operations of eight subway lines in the city of Ōsaka and the adjacent municipalities as well as Nankō Port Town line, an automated guideway transit. Kintetsu transferred to Iga Municipal Government free of charge the railway tracks and rolling stocks and status as a Class 3 operator of Iga Tetsudō (伊賀鉄道) . JR East (JR東日本) increased by 0.6km the operation kilometer of Komagamine = Hama-Yoshida section of Jōban line. The section was reopened on December 10, 2016 after the track had been rerouted and elevated at tsunami-proof level. JR West (JR西日本) extended Kabe line from Kabe to Aki-Kameyama, by reopening and electrifying the 1.6km section of the former Kabe line tracks closed on December 1, 2003. Aki-Kameyama (あき亀山) station is 5km apart from the closed Aki-Kameyama (安芸亀山) station of the former Kabe line. JR Hokkaidō (JR北海道) closed the 16.7 km section of Rumoi line (留萌線) between Rumoi and Mashike with the last trains operating on December 4. The remaining Fukagawa = Rumoi section is included in the three immediate sections to be switched to bus services announced by JR Hokkaidō on November 18. JR Hokkaidō claims that about half of the current railway network is difficult to maintain by itself. The company intends to close the sections where the average daily number of passengers per kilometer is below 200, and for other sections to start the talks with the local governments on the sharing the operation cost. Fukui Tetsudō (福井鉄道) extended the tram line by 140 meter to JR Fukui station and the name of the tram station was changed ftom Fukui-ekimae to Fukui-eki. Following Man'yō-sen and Toyama Chihō Tetsudō, three tram operators in Hokuriku area extended the tram lines to JR stations. On the same day Fukui Tetsudō started through services with Echizen Tetsudō between Echizen-Takefu and Washizuka-Haribara stations. JR Hokkaidō (JR北海道) opened Hokkaidō Shinkansen (北海道新幹線) line between Shin-Aomori and Shin-Hakodate-Hokuto, 18km north of Hakodate station). It links with Tōhoku Shinkansen of JR East at Shin-Aomori and the fastest Hayabusa service runs between Tōkyō and Shin-Hakodate-Hokuto at four hours and two minutes. The maximum speed of the shinkansen train is limited at 140km/h through Seikan Tunnel which it shares with freight trains with dual gauge of 1,435 mm and 1,067 mm. With the opening of Hokkaidō Shinkansen JR Hokkaidō's Esashi line was transferred to Dōnan Isaribi Tetsudō (道南いさりび鉄道) and the regular passenger service of Kaikyō line was suspended. Hankai Denki Kidō (阪堺電気軌道) closed a 0.2km terminal section of the tram Uemachi line (上町線) between Sumiyoshi and Sumiyoshi-kōen on which the train was running only in the morning. The operator decided to abondon the section because it requires several hundred million yen to renovate the aging tracks. 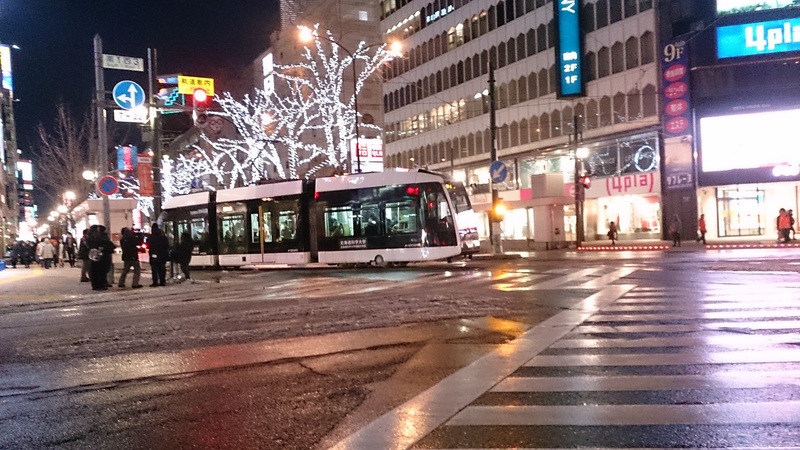 Sapporo Municipal Transportation Bureau (札幌市交通局) opened a new 0.4km Toshin line (都心線) of the tram, linking between the two terminals of the existing line, Nishi-Yon-chome and Susukino, and started a loop traffic service. Sendai Municipal Subway (仙台市営地下鉄) opened a new 13.9km subway line, Tōzai (east west) Line (東西線) between Yagiyama-Dōbutsu Kōen and Arai. The Tōzai line is Sendai's second subway line next to Namboku (south north) Line which crosses the new line at Sendai station and is the fourth Tōzai line next to Tōkyō, Sapporo and Kyōto. JR East (JR東日本) started the "Senseki-Tōhoku line" through services between Sendai and Ishinomaki. The train runs on the newly opened 0.3 km track linking Tōhoku line with Senseki line between Matsushima and Takagimachi (The train runs directly Shiogama to Takagimachi without call on Matsushima station) and rerouted Takagimachi = Rikuzen-Ono section. Since the electrification method is different between Tōhoku line (20 kV AC, 50Hz) and Senseki line (1,500 V DC), the services use hybrid DMU trains. The operations of Kita-Kinki Tango Tetsudō and Kintetsu Utsube and Hachiōji lines were transferred to Willer Trains and Yokkaichi Asunarō Tetsudō, respectively, under the government scheme of reformation and activation of the local traffic. Willer Trains, a division of Willer Aliance which conducts highway bus services, was selected by public invitation and operates the railway now called Kyōto Tango Tetsudō or Tantetsu, as a Class 2 Operator while the tracks remains the propety of Kita-Kinki Tango Tetsudō as a Class 3 Operator. JR Hokkaido (JR北海道) closed the 42.1 km section of Esashi line (江差線) between Kikonai and Esashi. The remaining Goryokaku = Kikonai section, now a part of the trunk line between Honshu and Hokkaido, will be transferred to a third sector company when the initial Shin-Aomori to Shin-Hakodate section of Hokkaido Shinkansen opens in March 2016. JR East (JR東日本) officially closed the 38.4 km Iwaizumi line (岩泉線) between Moichi and Iwaizumi in Iwate Prefecture. The operation has been halted since July 31, 2010 after the train was derailed due to a landslide. JR East abondoned the restoration because of the cost required in constrast with the least number of passengers among railways of Japan in 2008. Man'yō-Sen (万葉線) extended the tram line by 100 meter to JR Takaoka station and the name of the tram station was changed ftom Takaoka-ekimae to Takaoka-eki. Towada Kankō Dentetsu (十和田観光電鉄) closed the railway line between Towada-shi and Misawa. Towada Tetsudō (十和田鉄道) opened the line between Furumagi (later renamed Misawa) and Sanbongi (later renamed Towada-shi) in 1922 as a light railway of 762mm gauge. The line was regauged to 1067 mm and electrified in 1951. As number of passengers decreased 1.6 million in 1970 to 0.5 million in 2010, the company decided to "bustitute" the railway. Nagano Denyetsu (長野電鉄) closed the 35.3 km Yashiro line (屋代線) between Yashiro and Suzaka. Opened by Kato Tetsudō (河東鉄道) in 1922 which later merged with Nagano Denki Tetsudō (長野電気鉄道) and renamed Nagano Dentetsu, the line was electrified and became a part of Kato line in 1926. Through express trains of JNR between Ueno and Yudanaka had run the line from 1962 until 1982. Nagoya Municipal Subway (名古屋市営地下鉄) opened the 4.2 km new section of Rokugo (Sakuradori) line (6号(桜通り)線) between Nonami and Tokushige. JR East (JR東日本) extended Tōhoku Shinkansen (東北新幹線) line from Hachinohe to Shin-Aomori. 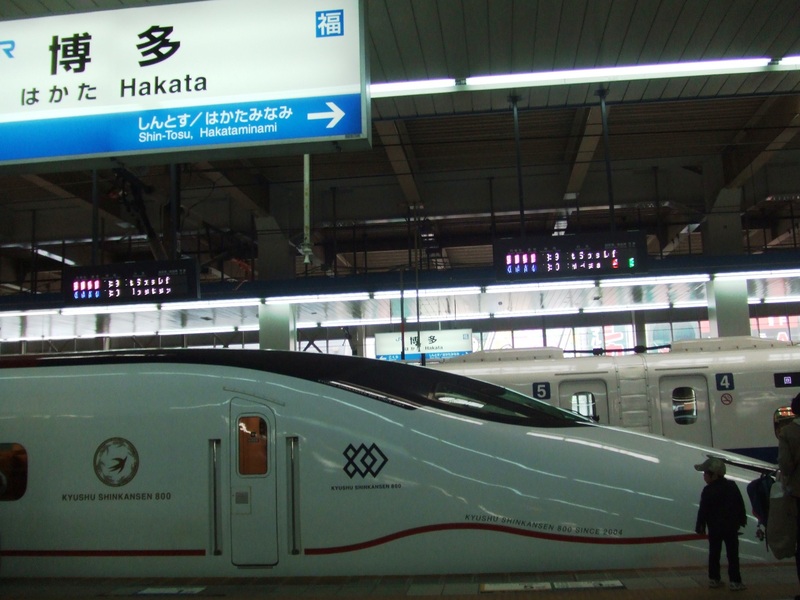 The fastest Hayate Superexpress runs between Tōkyō and Shin-Aomori in 3 hours and 20 minutes, reduced by 39 minutes. Tōhoku line's pararell section between Hachinohe and Aomori was transferred to Aoimori Tetsudō (青い森鉄道), a third sector company, which started the passenger service of the Metoki = Hachinohe section transferred from JR East on December 2002 when Tōhoku Shinkansen was extended to Hachinohe. Aoimori Tetsudō is a Class 2 Operator and Aomori Prefectural Government owns the tracks as a Class 3 Operator. Hokuriku Tetsudō (北陸鉄道) closed the 2.1 km Tsurugi = Kaga-Ichinomiya section of Ishikawa line after 82 years' operation since December 28, 1927. In 1950s Hokuriku Tetsudō had a network of nearly 150km with 12 railway lines spread over Ishikawa Prefecture and Kanazawa City tram service. Motorization had made the 10 railway lines and the tram closed by early 1970s and the two railway lines continued the operation. 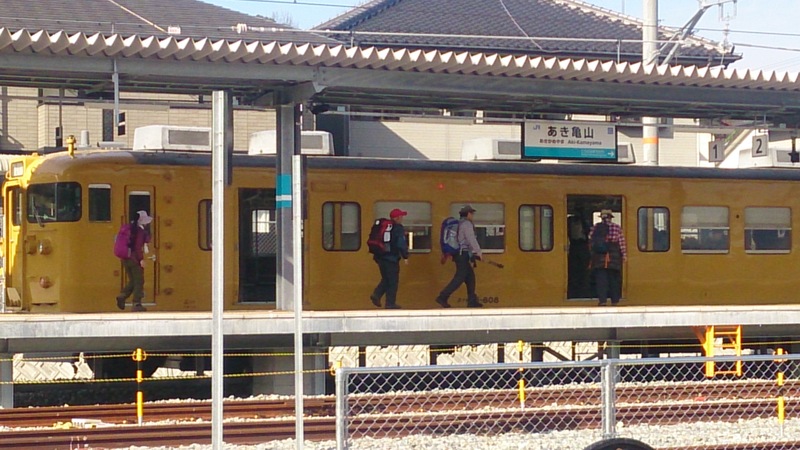 Heisei Chikuhō Tetsudō (平成筑豊鉄道) opened Yamagin retro line (やまぎんレトロライン) in Moji harbor district. 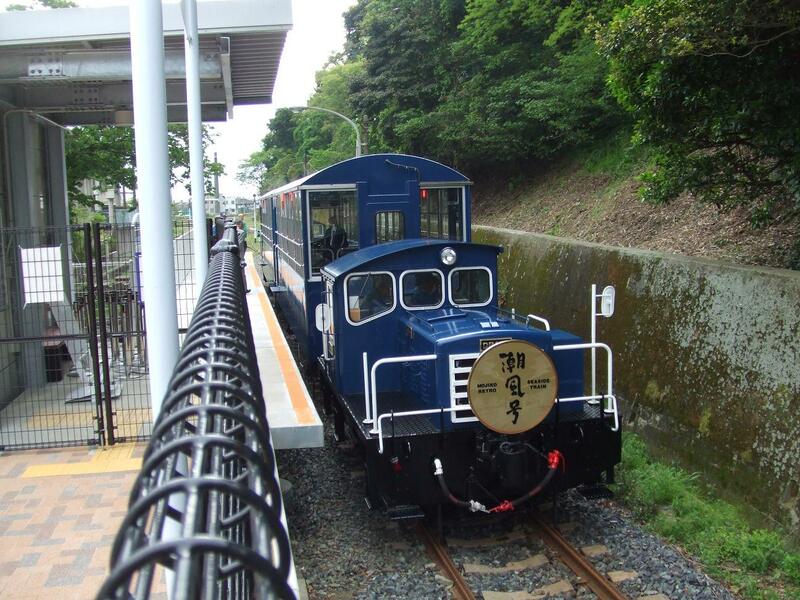 The former JR Kagoshima line's freight branch and KitaKyūshū City's sidings were reborn as a 2.1 km sightseeing line. The train is operated between Kyūshū-Tetsudō-kinenkan and Kanmon-kaikyo-Mekari in weekends and holiday seasons. The line is Class 2 operation of Heisei Chikuho Tetsudōand the Class 3 operator is KitaKyūshū City. 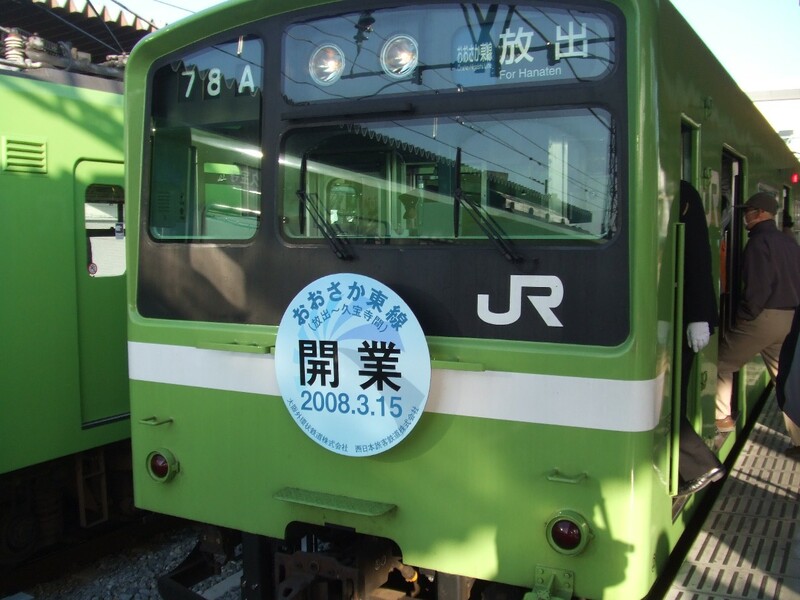 JR West (JR西日本) officially closed the 11.3 km Kansai branch line between Yao and Sugimotocho. The section called Hanwa-Kamotsu-sen (阪和貨物線) or Hanwa freight line was once passed by a regular passenger train. Kiha 82 DMU Limited Express "Asuka" was operated between Nagoya and Higashi-Wakayama (now Wakayama) from March 1, 1965 till September 30, 1967. A plan to revive the section for passenger services faded away, while Katamachi branch line or Jōtō freight line was revived as Ōsaka-Higashi line. Until March 2003 Hanwa freight line was on the route from Zushi to Wakayama to transport EMUs built by Tōkyū Car Corporation for Nankai Electric Railway. Kosaka Seiren (小坂精錬) closed the 22.3 km Kosaka freight line whose operation had been halted since April 1, 2008. The line had operated passenger services until October 1, 1994. Wakasa Tetsudō (若桜鉄道) became a Class 2 Operator by transferring its railway infrastructure to Wakasa and Yazu Town Governments, Class 3 Operators. Nagoya Tetsudō (名古屋鉄道) closed Monkey Park Monorail line between Inuyama-Yuen and Dobutsuen. The 1.2 km line, opened on march 21, 1962, was the first astraddle monorail in Japan and the second monorail line next to the Ueno Zoo monorail opened in 1957 by Tokyo Metropolitan Government Transportation Bureau. Takachiho line of Takachiho Tetsudō (高千穂鉄道) was officially closed. 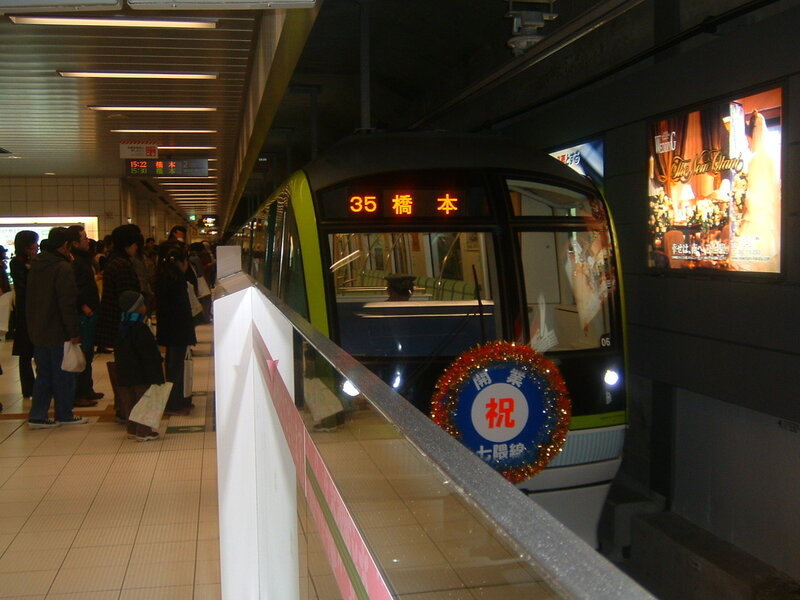 The line was halted after it was heavily damaged by a typhoon in September 2005. The 29.1 km Nobeoka = Makimine section was officially closed on September 6, 2007. The closure of the remaining Makimine = Takachiho section was suspended because of a plan to revive the section as a sightseeing railway line. The revival plan was formulated to operate the line as amusement facilities not governed by the Railway Operation Law, which made the 20.9 km section officially closed. Tōkyō Chikatetsu (東京地下鉄) opened the Fukutoshin line (副都心線). The line consists of 3.0 km Kotake-Mukaibara = Ikebukuro section which was operated as Yurakucho New line (有楽町新線) on separate tracks pararell to Yurakucho line and newly built 8.9 km Ikebukuro = Shibuya section. The trains of Tobu Tojo line and Seibu Ikebukuro line have started through services to Fukutoshin line in addition to Yurakucho line. Through services with Tokyū Tōyoko line will start in 2012 when Tōyoko line Shibuya terminus will be moved underground and connected with Fukutoshin line. Ibaragi Kotsu (茨城交通) transferred the Minato line to Hitachi-Naka Kaihin Tetsudō, a third sector company funded by Hitachi-Naka Municipal Government. Miki Tetsudō (三木鉄道) closed the railway line between Yakujin and Miki. Banshu Tetsudō (播州鉄道) first opened the section between Yakujin and Bessho in 1916 and completed the entire line in 1917. The line was merged with Bantan Tetsudō (播但鉄道) in 1923 and nationalized in 1943. In 1985 Miki Tetsudō, a third sector company, took over the line designated as a special local transportation line in the JNR reformation program. Shimabara Tetsudō (島原鉄道) closed the 35.3 km Shimabara-Gaiko = Kazusa section which is accounted for 80% of the railway deficit. The closed section, first opened by Kuchinotsu Tetsudō (口之津鉄道) during 1922 - 1928, was heavily damaged by the eruption of Mt. Fugen in 1991, and reopened in 1997 using the elevated tracks between Shimabara-gaiko and Fukae. Tokyo Metropolitan Transportation Bureau (東京都交通局) opened the 9.7 km Nippori-Toneri line (日暮里・舎人線) from Nippori to Minumadai-shinsuikoen. The guided rail, called Nippori-Toneri liner, was constructed by Tōkyō-to Chikatetsu Kensetsu (東京都地下鉄建設) and transferred to Tokyo Metropolitan Transportation Bureau. Yokohama Municipal Transportation Bureau (横浜市交通局) opened the No. 4 subway line, called Green Line, between Hiyoshi and Nakayama (13.0km). The existing subway line is now called Blue Line. Kyoto Municipal Subway (京都市営地下鉄) opened a 2.4 km extension of Tōzai line (東西線) from Nijo to Uzumasa-Tenjingawa. Kintetsu transferred the operation of its Yōrō line and Iga line to Yōrō Tetsudō (養老鉄道) and Iga Tetsudō (伊賀鉄道), respectively. Both companies have been incorporated as Kintetsu' wholly-owned subsidiaries and operate the railway lines as a Class 2 Operator, while Kintetsu remains the owner of the railway tracks and rolling stocks as Class 3 Operator. Kurihara Den'en Tetsudō (くりはら田園鉄道) terminated the railway operation. The line ended the 85 year history since Kurihara Kido (栗原軌道) opened a 762mm gauge light railway between Ishikoshi and Sawabe in 1921. The line was extended to Hosokura Kozan in 1942, electrified in 1952 and rebuilt to a 1067mm gauge in 1955. Since 1993 the railway line has been operated by Kurihara Den'en Tetsudō, a third sector company funded by local governments. Kashima Tetsudō (鹿島鉄道) also closed the railway line. Kashima Sangu Tetsudō (鹿島参宮鉄道) first opened the section between Ishioka and Hitachi-Ogawa in 1924 and completed the entire line in 1929. In 1965 the railway became Kanto Tetsudō (関東鉄道) Hokota line by the merger of Kashima Sangu Tetsudō and Jōsō Tsukuba Tetsudō, but was separated as Kashima Tetsudō in 1979. Nishi-Nihon Tetsudō (西日本鉄道) closed the Nishitetsu-Shingu = Tsuyazaki section of Miyajidake line (宮地岳線). The remaining section was renamed Kaiduka line (貝塚線). Ōsaka Kōsoku Tetsudō (大阪高速鉄道) opened a 4.2km extension of the Kokusai Bunka Kōen Toshi line (国際文化公園都市線) from Handai Byoin-mae to Saito-nishi. 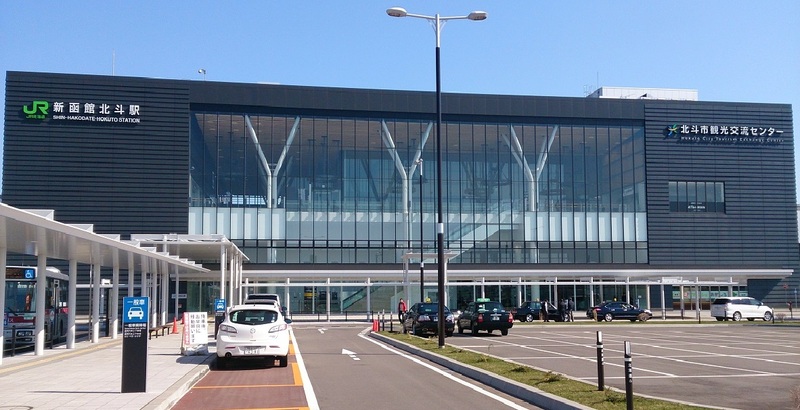 Sendai Airport Transit (仙台空港鉄道) opened the 7.1km Sendai kūkō line (仙台空港線) line between Natori and Sendai kūkō (Airport) and started a through operation with JR East from/to Sendai station. Sendai Airport has become the 11th airport in Japan which has an access by rail transit. Osaka Municipal Transport Bureau (大阪市交通局) opened the 11.9km Hachigo (Imazato-suji) line (８号(今里筋)線) between Itakano and Imazato. Running from north to south in the eastern part of Osaka City, the line has expanded the grid network of the Osaka Municipal subway. Kamioka Tetsudō (神岡鉄道) terminated the operation of Kamioka line. The line ended the 40 year history since it was opened in 1966 as JNR's Kamioka line. This is the sixth closure of the former JNR lines transferred to third sector or private companies, following Konan Tetsudō Kuroishi line (April 1, 1998), Shimokita Kotsu (April 1, 2001), Noto Tetsudō Nanao line (Anamizu = Wajima section, April 1, 2001), Noto Tetsudō Noto line (April 1, 2005) and Hokkaido Chihoku Kogen Tetsudō (April 30, 2006). The local government has a plan to reopen the Kamioka line as a sightseeing railway. Tokadai Shin-kotsu (桃花台新交通) terminated the 15 years operation of its guideway transit line between Komaki and Tokadai-higashi, Aichi Prefecture. This is the first closure of the "new transportation systems"with rubber-tyred vehcles on a guideway track which became prevalent since early 1980's as a medium-sized rail transit in Japan. Hokkaidō Chihoku Kōgen Tetsudō (北海道ちほく高原鉄道) closed the operation of its Furusato-ginga line (ふるさと銀河線). The line ended the 95 year history since the Ikeda = Rikubetsu section was first built in 1910 as JNR's Abashiri line. Nankai transferred its 14.3km Kishigawa line to Wakayama Dentetsu (和歌山電鐵), a wholly-owned subsidiary of Okayama Denki Kido (岡山電気軌道). Kintetsu (近鉄) started Class 2 Operation of the Ikoma = Gakken-Nara-Tomigaoka section of Keihan'na line (けいはんな線). The former Higashi Ōsaka line became a part of Keihan'na line and the through operation with Osaka Municipal Subway's Yongo line was extended between Cosmo-Square and Gakken-Nara-Tomigaoka. 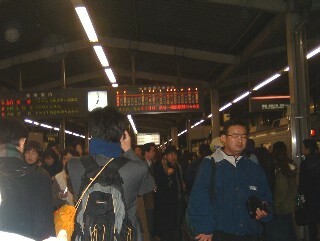 JR West (JR西日本) closed the operation of its Toyama-kō line (富山港線) with the last train leaving Iwasehama at 21:56 on March 28, 2006. The line will be reopened as an LRT by Toyama Light Rail (富山ライトレール) on April 29. Kōbe Shinkōtsū (神戸新交通) opened an extention of Port-Island line (ポートアイランド線) between Shimin-hiroba and Kōbe-kūkō prior to the opening of Kobe Airport on February 16. Izu Hakone Tetsudō (伊豆箱根鉄道) closed down its Komagatake Kōsaku (cable) line (駒ケ岳鋼索線). Yashima Tozan Tetsudō (屋島登山鉄道) officially abolished its cable line whose operation had been suspended since October 16, 2004. Metropolitan Intercity Railway Company or Shutoken Sintoshi Tetsudō (首都圏新都市鉄道) opened Tsukuba Express line that links Akihabara and Tsukuba. The trains run at a top speed of 130 km/h and rapid trains travel the 58.3 km line between the terminals in 45 minutes. Like Joban line of JR East, Tsukuba Express line operates under dual mopde of electricity; 1,500V DC for Akihabara = Moriya section and 20,000 V, 50Hz AC for Moriya = Tsukuba section so that the strong DC electricity may not interrupt geomagnetic measurements at the Japan Meteorological Agency's laboratory located near the line. DC-only cars are used for local trains turning back at Moriya and DC/AC bimodal cars are used for the rapid trains to Tsukuba. 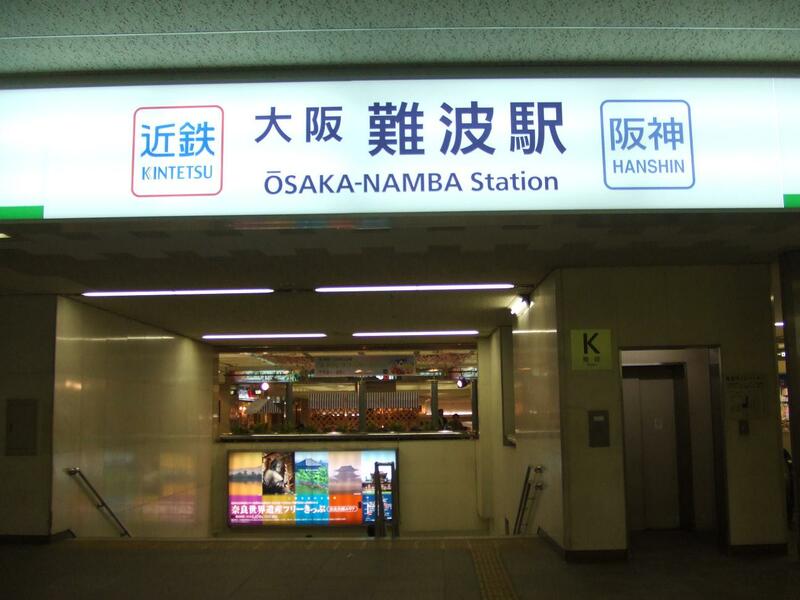 Osaka Municipal Transport Bureau (大阪市交通局) and Ōsaka-ko Transport System (大阪港トランスポートシステム) or OTS, a third sector company primarily funded by Osaka Municipal Government, consolidated their subway and guided rail operations where the trains ran across the both operators' lines. Osaka Municipal Transport Bureau operates the former OTS Techno-port line (テクノポート線) and New-tram-technoport line (ニュートラムテクノポート線) as its subway Yongō line (4号線) and guided rail Nankō-port-town line (南港ポートタウン線) respectively. OTS remains the Class 3 operator (or the owner of tracks) of the railway sections; Yongō line's Cosmo-Square = Ōsaka-kō section and Nankō-port-town line's Cosmo-Square = Naka-futō section, and Osaka Municipal Transport Bureau opeates as Class 2 operator. The OTS tracks operated under the Tramway Law were transferred to Osaka Municipal Transport Bureau. By this intrgration the fares for traveling across the former OTS line and Osaka Municipal subway and guided rail lines are substantially reduced because the duplicated "first ride fares" are no more necessary. Nagoya Railway (名古屋鉄道) or Meitetsu (名鉄) closed all 600 volt lines in the vicinity of Gifu city, including Ibi line (揖斐線), Gifu Shinai line (岐阜市内線), Minomachi line (美濃町線) and Tagami line (田神線). By the closure of the four lines with the total Eigyo-kilo of 33.6km, Meitetsu slode down to the third place in terms of the length of railway network among non-JR operators, next to Kintetsu and Tobu. Hitachi Dentetsu (日立電鉄) closed the railway line between Jōhoku-Ōta and Ayukawa. It ended the life of 77 years since its opening in December 1928. Noto Tetsudō (のと鉄道) closed Noto line (能登線) between Anamizu and Takoshima, opened by JNR during 1959 - 1964, and transferred to JR West in 1987 and then to Noto Tetsudō in 1988. 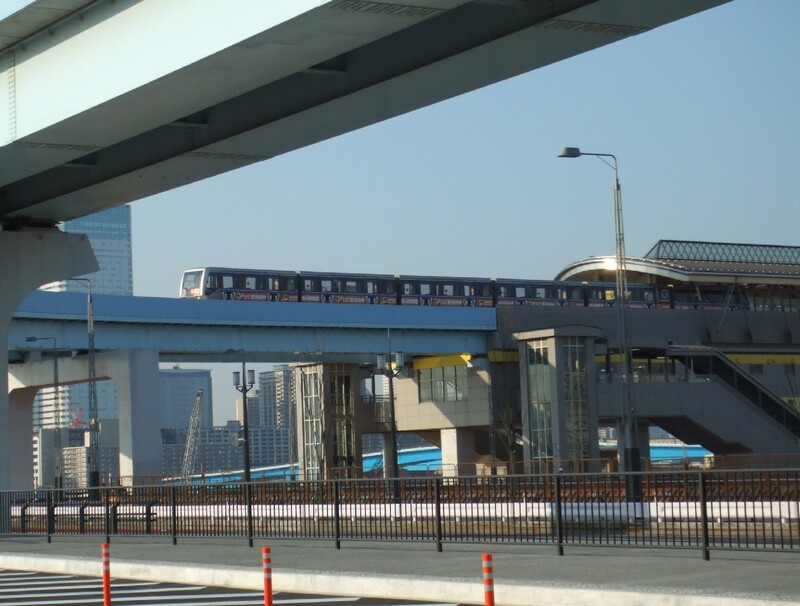 Japan Association for the 2005 World Exposition started a passenger service of IMTS (Intelligent Multimode Transit System) at the site of EXPO 2005 in Aichi prefecture. IMTS allows dual mode operation; an unmanned, platoon operation on dedicated roads and a manual, independent operation on ordinary roads). On the dedicated roads IMTS vehicles are navigated and controlled by magnetic markers imbedded in the roads. Thus, the operation of 1.6 km dedicated roads between North Gate and Expo Dome is regarded as a railway operation of Aichikyūhaku line (愛・地球博線) and conducted by receiving a permit of limited period Class 1 Operation under the Railway Operations Law. Aichi Kōsoku Kōtsū (愛知高速交通) or Aich Rapid Transport opened a new 8.9km Tōbu Kyūryō line (東部丘陵線) between Fujigaoka and Banpaku Yagusa, as an access line to the site of EXPO 2005, Aichikyūhaku (愛・地球博), which will take place from March 25 through September 25. 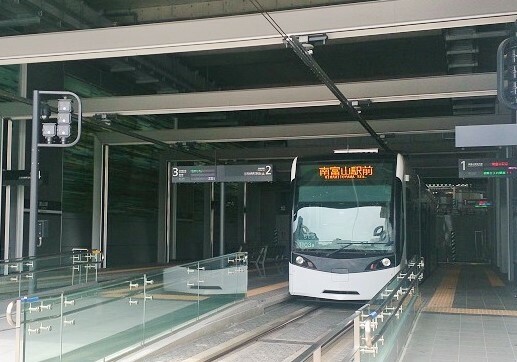 Nicknamed Linimo, this is the first Maglev line in operation. Nagoya Railway (名古屋鉄道) or Meitetsu (名鉄) officially opened the Kūkō line (空港線) between Tokoname and Chūbu-Kokusai-kūkō (4.2 km) and started regular passenger services before the opening of the new Chubu International Airport on February 27. The limited services for persons commuting to the airport were already started on October 16, 2004. 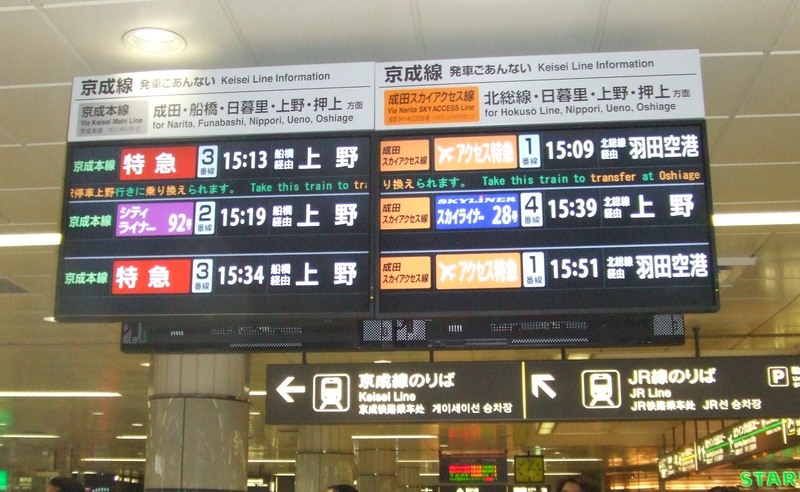 Concurrently Meitetsu changed the name of four stations; Shin-Nagoya to Meitetsu-Nagoya, Shin-Ichninomiya to Meitetsu-Ichinomiya, Shin-Gifu to Meitetsu-Gifu and Nagoya-kyūjō-mae to San'no. With the opening of the second terminal of the Haneda Airport, Tōkyō Monorail (東京モノレール) extended Tōkyō Monorail Haneda line (東京モノレール羽田線) from Haneda kūkō-daiichi-Building (former Haneda-kūkō) to Haneda kūkō-daini-Building (0.9 km). Kyoto Municipal Subway (京都市営地下鉄) opened the 2.4 km section of Tōzai line (東西線) between Daigo and Rokujizō. Nagoya Railway (名古屋鉄道) or Meitetsu (名鉄) started limited passenger services of Kūkō line (空港線) for persons commuting to the new Chubu International Airport. Meitetsu is Class 2 operator, while Chūbu Kokusai-Kūkō Renraku Tetsudō (中部国際空港連絡鉄道)is Class 3 operator that owns the railway tracks. Passenger services for general public will start on January 29, 2005. 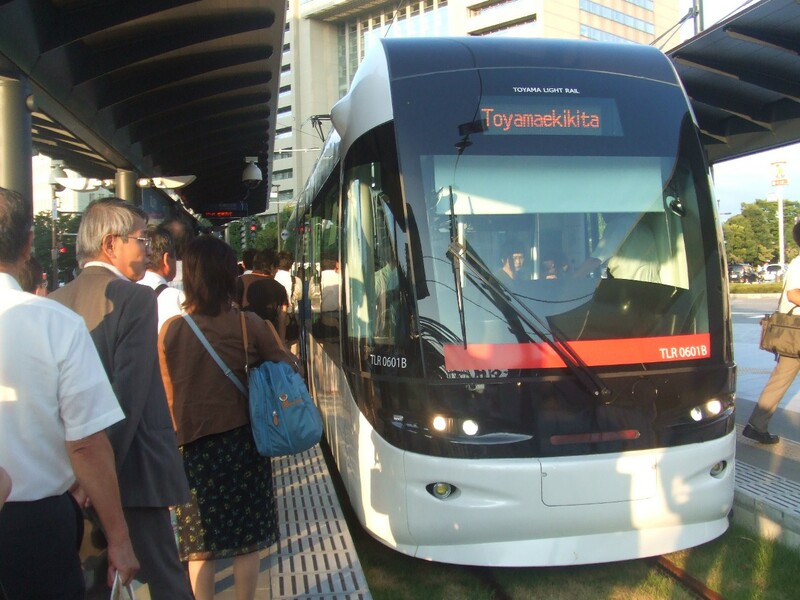 Yashima Tozan Tetsudō (屋島登山鉄道) suspended the cable car operation after it entered a bankruptcy procedure on October 12. Nagoya Municipal Subway (名古屋市営地下鉄) opened the 5.6 km section of Yongō (4th) line (4号線) between Aratamabashi and Nagoya-daigaku (Nagoya University). Upon completion the entire Yongō line the circle operation has started on the route of Nigō (2nd) line's Ozone = Kanayama section and Yongō line's Kanayama = Nagoya-daigaku = Ozone section. The circle line is now called Meijō or Nagoya Castle line (名城線), while Nigō line's Kanayama = Nagoya-kō section is called Meikō or Nagoya Port line (名港線). Nagoya Rinkai Kōsoku Tetsudō (名古屋臨海高速鉄道) started passenger services on Nishi-Nagoya-kō line (西名古屋港線) between Nagoya and Kinjō-futō called by a nickname of Aonami line. The line consists of the electrified and double-tracked 7.0km section of the former JR Central's Tōkaidō freight line between Nagoya and Nagoya-kamotsu-terminal and the newly constructed 8.2km section to Kinjō-futō. JR Freight's Class 2 operation remains on the former JR Central's section. With the reorganization into Toshi Saisei Kikō (都市再生機構) or Urban Renaissance Agency, Toshi Kiban Seibi Kōdan (都市基盤整備公団) or Urban Development Corporation withdrew from the railway operation, and transferred the Class 3 operation of Hokusō Kōdan line (北総・公団線) between Komuro and Inba-Nihon-Idai to Chiba New Town Tesudō (千葉ニュータウン鉄道), a wholly owned subsidiary of Keisei Dentetsu (京成電鉄). Hokusō Kaihatsu Tetsudō (北総開発鉄道) and Hokusō Kōdan line were renamed to Hokusō Tetsudō (北総鉄道) and Hokuso line (北総線), respectively. In the meantime, the extension of the line beyond Inba-Nihon-Idai is being constructed by Narita Kōsoku Access Tetsudō (成田高速鉄道アクセス株式会社) as an access line to Narita Airport. Upon completion expected in 2010, Keisei will operate Skyliner via the new line. Nagoya Railway (名古屋鉄道) or Meitetsu (名鉄) closed the northern and southern sections of Mikawa line (三河線) between Nishi-Nakagane and Sanage (8.6km) and between Hekinan and Kira-Yoshida (16.4km). Teito Kōsokudo Kotsu Eidan (帝都高速度交通営団), a special public corporation that operated Eidan subway lines in Tōkyō, was reorganized into Tōkyō Chikatetsu (東京地下鉄), a limited stock corporation. 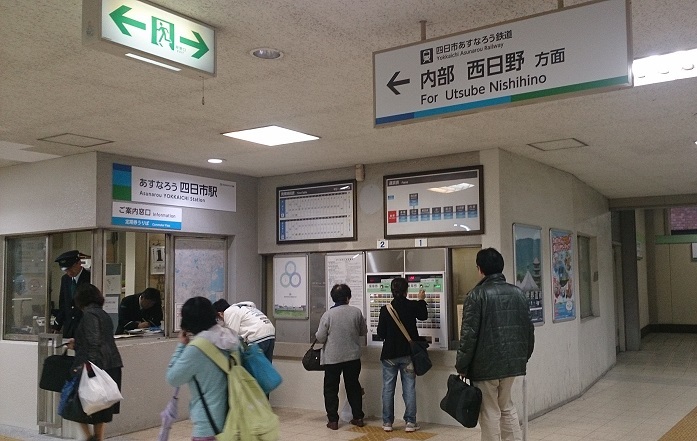 With the reorganization Eidan Narimasu and Eidan Akatsuka stations were renamed Chikatetsu Narimasu and Chikatetsu Akatsuka respectively. Okamoto Seisakujo (岡本製作所) reopened the Rakutenchi cable car line suspended since November 25, 2003 with the completion of the rehabilitation of Rakutenchi amusement park. JR Kyūshū (JR九州) opened the 137.6km Kyūshū Shinkansen (九州新幹線) line between Shin-Yatsushiro and Kagoshima-chūō (former Nishi-Kagoshima) and started Tsubame super express services. Kagoshima line's 116.9km section between Shin-Yatsushiro and Sendai was transferred to Hisatsu Orange Tetsudō (肥薩おれんじ鉄道), a third sector company. The section between Sendai and Kagoshima has remained JR 's Kagoshima line. Yokohama Kōsoku Tetsudō (横浜高速鉄道) opened Minato-Mirai-21 line (みなとみらい21線) between Yokohama and Motomachi-chūkagai and started a through operation with Tōkyō kyūko Dentetsu (東京急行電鉄) or Tōkyū (東急)Tōyoko line (東横線) to Shibuya. Nagoya Municipal Subway (名古屋市営地下鉄) opened the 4.5 km section of Yongō (4th) line (4号線) between Sunadabashi and Nagoya-daigaku (Nagoya University). The separated Yongō line will be connected by further extension between Nagoya-daigaku and Aratamabashi on October 6, 2004 (earlier than March 2005 originally planned). Upon completion the circle operation will start on the route of Nigo (2nd) line's Ozone = Kanayama section and Yongo line (Kanayama = Aratamabashi = Ozone). JR West (JR西日本) abandoned the operation of the 46.2 km section of Kabe line (可部線) between Kabe and Sandankyō. After having proposed the abandonment to related local governments in September 1998, JR West as a trial increased the number of trains during the period between November 1, 2000 and February 20, 2001. Since this trial resulted in no increase of passengers, JR West filed the abandonment on November 29, 2002. Kabe line was originally intended as a line to connect Hiroshima with Hamada passing chūgoku mountains, and was extended several times until Sandankyō in 1969. No more extension beyond Sandankyō was made since then, and the line has become totally a suburban commuting line in Hiroshima city. JR Freight (JR貨物) abondoned the 3.4 km Tōkaidō (freight branch) line (東海道線) between Higashi-Nada Signal Point and Kōbe-kō. Nagoya Tetsudō (名古屋鉄道) or Meitetsu (名鉄) suspended the operation of the 0.3 km section of Gifu-shinai (tram) line (岐阜市内線) between Gifu-ekimae and Shin-Gifu-ekimae due to the reconstruction work in the JR Gifu station area. 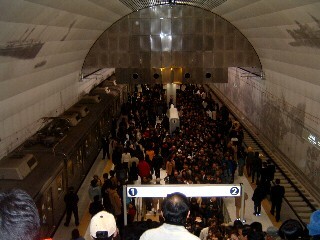 The section will be reopened on April 1, 2005. On November 1, 2003 the loss making Rakutenchi (ラクテンチ) Amusement Park was transferred to Okamoto Seisakujo (岡本製作所) a amusement machine manufacturer based in Osaka, together with the cable car line. Since November 25, 2003 the park has undergone a four months' rehabilitation and operation of the cable car line is suspended. Echizen Railway (えちぜん鉄道) reopened the operation of Katsuyama-Eiheiji line (勝山永平寺線) between Eiheiji-guchi and Katsuyama (16.9 km). The entire Echizen Tetsudō lines are now in operation. Nagoya Railway (名古屋鉄道) or Meitetsu (名鉄) reopened the suspended operation of Tokoname line (常滑線) between Enokido and Tokoname (1.8km) due to the new Chubu International Airport construction since January 26, 2002. The construction work was completed three months prior to the original schedule. Dream Kaihatsu (ドリーム開発)'s Dreamland line was officially abolished after almost 36 years' suspension since September 24, 1967. The 5.3 km astraddle monorail line was first opened by Dream Kotsu on May 2, 1966 and was in operation for about 16 months as an access line to Yokohama Dream Land, a popular amusement park then. It was discontinued due to a safety problem that the strength of piers was not enough to support a track with excessive weight of vehicles. Later it was planned to reopen the line by changing the vehicle to a Maglev type train (thus, the line has been categorized as Maglev type in MLTI's Railway Handbook since its 1997 edition). This plan was finally given up and an abolishment notice was filed on September 12, 2002. 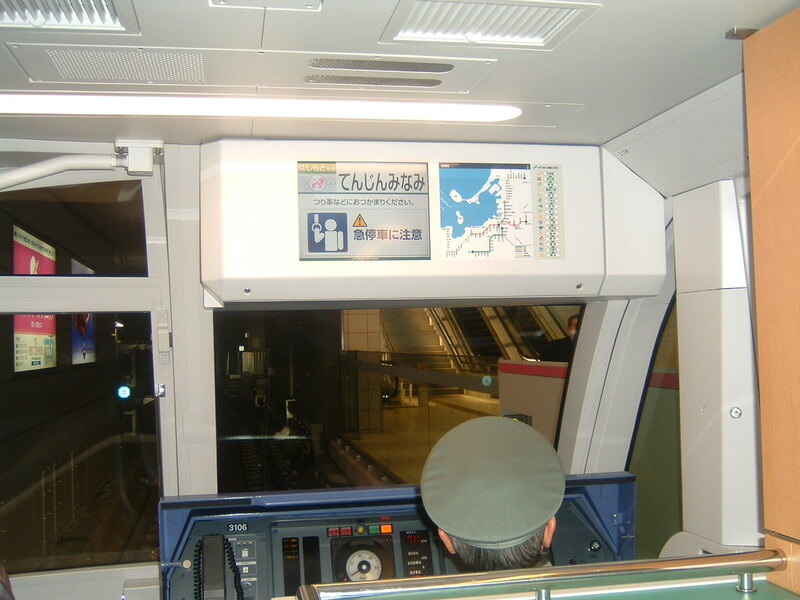 Okinawa Toshi Monorail (沖縄都市モノレール) started the operation of a 12.9 km astraddle monorail line with fifteen stations between Naha-Kūkō (Naha Airport) and Shuri. With a nickname of "Yui Rail" (ゆいレール), the monorail is the first rail transportation system in Okinawa after the World War II, except a 1.4 km guided rail system operated from July 20, 1974 until January 18, 1975 when the Okinawa Ocean Expo was held. Echizen Railway (えちぜん鉄道) reopened the operation of Mikuni-Awara line (三国芦原線) between Nishi-Nagata and Mikuni-kō (13.5 km). The entire Mikuni-Awara line is now in operation. Echizen Railway (えちぜん鉄道) started the operation of Katsuyama-Eiheiji line (勝山永平寺線) between Fukui and Eiheiji-guchi (10.9 km) and Mikuni-Awara line (三国芦原線) between Fukui-guchi and Nishi-Nagata (11.7 km). This is the first reopening of the former Keifuku Dentetsu lines after two years' suspension due to the head-on collision of trains on the single track Echizen line (now Katsuyama-Eiheiji line) on June 24, 2001. Echizen Railway was established as a third sector with the funds of local governments and corporations to succeed the two lines of Keifuku Dentetsu while the former Eiheiji line was abolished as of October 21, 2002.